If you have been waiting for new episodes of Episodes on Nine then you’re in for some bad news. Nine has not secured any more of the Matt Le Blanc comedy. Instead it will premiere in Australia on UKTV. But there is no date for the new season just yet, which began in the US last month. Good that it is on somewhere anyway. It looks like the shows was made as 28min episodes for Showtime and the standard 23mins for international distribution.Nine showed the short ones at 8pm but also showed the longer version late at night in the repeat slot. Josh777. It’s filmed mainly in the UK! After watching the whole first series on a plane flight, I thought I’d re-watch it when it was on NIne. I gave up after the first episode, as they’d cut at least five minutes to fit their schedule. Thoroughly enjoying the airing on UKTV. Maybe they’ll go straight into S3 after S2? This is very sad news, Episodes was one of the most original and funniest comedies in ages. Not funny enough to get Foxtel though (nothing’s that funny). Bummer … it was a great show, even though it was relegated to the silent watches of the night. 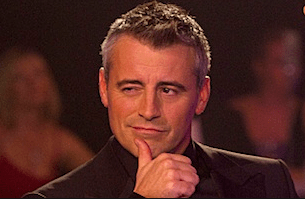 Matt Le Blanc was surprisingly good in it, full of self deprecation, and Stephen Mangan and Tamsin Greig as his British scriptwriters trying to emulate their hit UK show, are fabulous as well. Typical of course, show it once or twice, don’t promote it then whack it on at 11.00pm. I would never have known about it either, if it wasn’t for a review in one of the Fairfax TV Guides. I was really shocked when I saw Episodes reruns were airing on UKTV given it’s American but based on English television writers, but they aired full length episodes in HD so I quickly didn’t care where it was made 😛 This is good news that it’s been picked up by someone who won’t constantly move it and will air it in HD (I know I’ve mentioned that already but it’s that important).